Alice Maz was part of a small group of players who came to have near-total mastery over the internal economy of a popular Minecraft; Maz describes how her early fascination with the mechanics of complex multiplayer games carried over into an interest in economics and games, and that let her become a virtuoso player, and brilliant thinker, about games and economics. 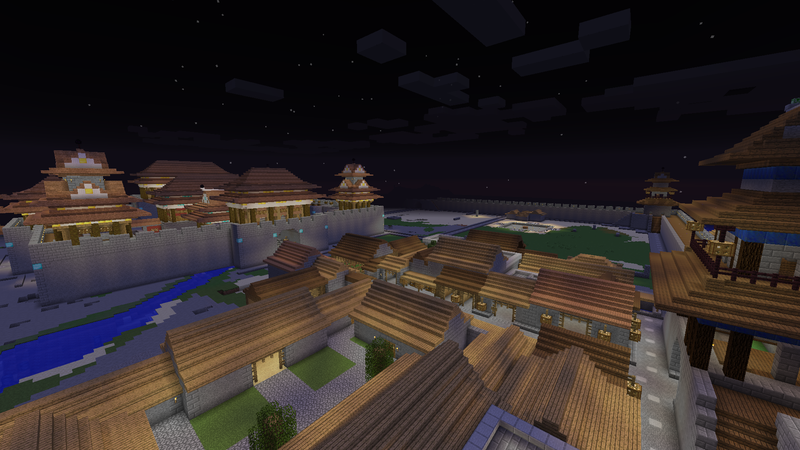 Maz's long, fascinating essay about her business ventures in Minecraft are a potted lesson in economics, one that shows where financial engineering actually does something useful (providing liquidity, matching supply and demand) and the places where it becomes nothing more than a predatory drag on the "real economy" of people making amazing things in Minecraft. Back when I was working on For the Win, my YA novel about gold farming, I read pretty much every book and academic paper on the subject of games and economics, and Maz's essay is among the best pieces of writing on the subject I've encountered. It's especially interesting because all the economic activities are aimed at dominating a server, but Maz never talks about whether, how, or if any of the in-game wealth can be converted to cash money, giving the whole thing a kind of abstract clarity that is sometimes obfuscated in the literature on in-game economics. Diamonds being not the most valuable but certainly the most valued item in the game, both for their utility and their price stability, the server was littered with buy chests for them. These were mostly of the fling and a prayer sort, offering prices low enough that anyone selling to them was a noob or a fool. But not so low that I couldn't sell them Charlotte's. I bought from her all I could afford, bankrupted every single person who had a buy chest at any price, then went back for more. Buy chests in the market shops, scattered on the roadsides, nestled in secluded towns no one remembered the names of, I hit them all. If you were buying diamonds at the bottom of the ocean, I would find you and take all of your money. At the same time, I dropped my sell price in the market to 16M and did pretty good business for a few weeks. I had the advantage of one of the two best plots there were, the other belonging to Emma. (This I'd gotten via inside knowledge that Zel's to-be partner was shuttering his store and gifting the plot to a friend. I offered to swap my plot as the gift, help with the deconstruction process, and advise on pricing in the Emporium in exchange, thus getting the prized location without it ever going up for sale.) QuickShop provided a console command to show the closest shop selling an item, and these two plots, though behind hedge walls and not immediately visible, were the closest as the crow flies to the market's warp-in point. So anyone using the command--and this was most people, traipsing through the market looking for deals being a rare activity mostly limited to speculators--got directed to me or Emma for anything either of us sold. This all made me a lot of money. I drove a portion of profits into bolstering my diamond and beacon reserves, bought basically any building material I thought I'd ever need in bulk, and still watched my marble balance grow. Up til the diamond bonanza, I'd been making money on a dozen different side hustles. A bit here, a bit there, doing better than most, but regardless the day-in day-out of working the market took up the majority of my time on the game. That made me rich; this is what made me wealthy. But soon 16M became 14M, and 14M became 12M. A few people started to notice Charlotte's store, and she restocked faster than I, or anyone, could recoup enough to buy out. Mostly though, it was clear to everyone the price of diamond was falling, even if they had no idea why. I diversified into selling enchanted diamond equipment of all types, priced just so that I could break even on the enchant and move the component diamonds at the same price I sold them for raw. A few of the buy chest people I'd tanked tried recovering some of their money by putting up at a loss the diamonds I'd sold them, but they still couldn't move product faster than a trickle. Eventually even Charlotte had to cut her prices to keep selling. It was bad.